Years ago, The Bangles sang "Manic Monday" (written by Prince), which remains one of my favorite recordings of all time. With the passing of the years, however, this soothing song from We Are Thankful may be more timely. The film (Zulu title: Siyabonga), which will enjoy its U.S. premiere at the Slamdance Film Festival tonight, is "named after the film's main character Siyabonga Majola," according to the official synopsis. It "is a docufiction film set in the KwaZulu Natal region of modern day South Africa. It makes use of footage from both the narrative and documentary tradition. 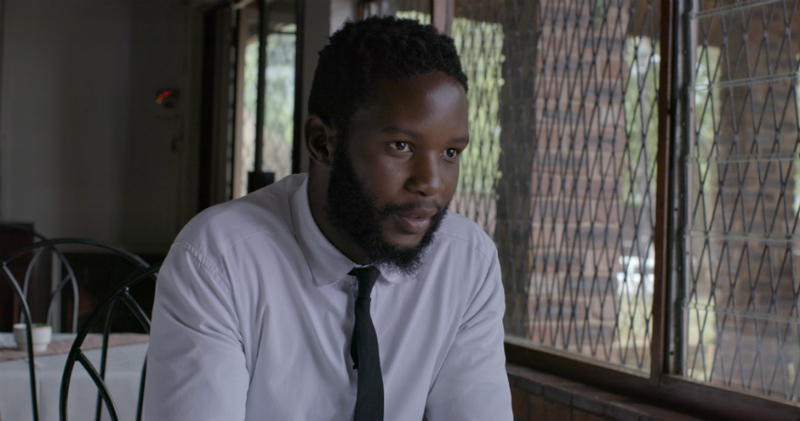 "We follow Siyabonga, a young man who dreams of being an actor, but lives in a small South African township where opportunities for stardom are hard to come by. One day he hears the surprising news that a movie is to be made in a nearby town and he makes it his mission to be a part of the film. "The filmmaker happens to be Joshua Magor, and when Joshua met Siyabonga in real life, he knew this man's passion and determination would make for an incredible story - and thus We Are Thankful was born." As noted, Joshua Magor directed. Siyabonga Majola, Sabelo Khoza, Xolani 'X' Malinga, Amanda Ncube star. You can watch the exclusive clip below, along with the official trailer. The first screening at Slamdance is happening in a few minutes (sorry for the delay in posting this article); it will screen again on Thursday, January 31 at 10:45 a.m., Ballroom, 255 Main St, Park City, Utah.